On the margins of Tokyo, a dysfunctional band of outsiders are united by fierce loyalty, a penchant for petty theft and playful grifting. When the young son is arrested, secrets are exposed that upend their tenuous, below-the-radar existence and test their quietly radical belief that it is love - not blood - that defines a family. Shoplifters… you, to me, are perfect. I loved watching your story unfold. I laughed, I cried. I felt unbelievably tense and, at the same time, completely charmed. You were a wonderful surprise. However, you really shouldn’t have been because you are a film from (one of my very favourite directors), Hirokazu Kore-eda. Like many of Kore-eda’s previous films, Shoplifters is about family and what that concept actually means. It explores nature, nurture, fatherhood and also follows a young boy who is coming of age. 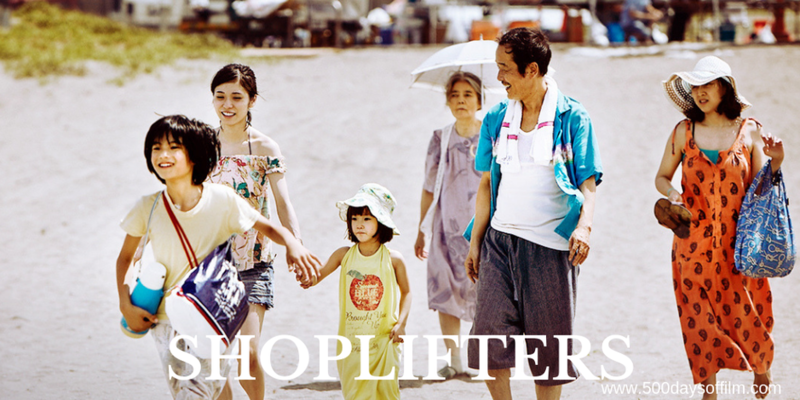 Shoplifters follows a family that commits theft and encourages the young children in their care to do the same. But who are the real criminals here? Who is most deserving of punishment? Is anyone without “sin”? Are we witnessing a kidnap or a rescue? There are no easy answers but Kore-eda encourages us to consider the nuance behind the headline. Meanwhile, there is a keen sense of poetic realism in Shoplifters. On the one hand, the film has a documentary feel. We care about its characters. They are almost unbearably real (please don’t tell me that they are not). Kore-eda gives us a window on another world. On the other hand, there is something timeless and poetic about Shoplifters. Within minutes we recognise the universal, emotional power of the love, loss, hope and regret at the heart of this strange familial unit. It is as heartwarming as it is heartbreaking. If you have, what did you think of this movie? Let me know in the comments section below or over on Twitter. You can find me @500DaysOfFilm. I really Like this one too .. I do not mind subtitles . .